An Achilles tendon rupture (complete tearing of the tendon) occurs frequently in both professional and recreational athletes. The majority of partial tendon ruptures and around 75% of complete tendon ruptures occur during sporting activities that require quick and repetitive movements like jumping and sprinting. Compared to other tendon ruptures in the body, complete tears in the Achilles tendon tend to occur at a younger age (15 years younger) suggesting overuse and weakening of the Achilles tendon happens faster than other tendons. The exact cause of a rupture is difficult to say. 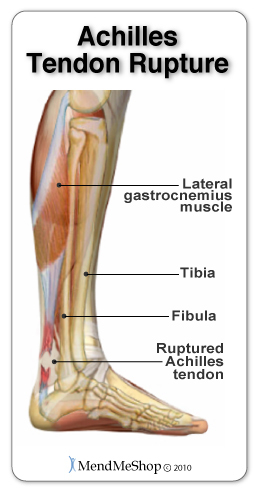 There seems to be a occur more frequently when the tendon and the calf muscles (gastrocnemius and soleus) are weak. Weaker muscles are shorter and tighter than usually and this causes more stress on the Achilles tendon. A forceful stretch of the tendon while the calf muscles are contracting and the leg is moving forward can cause a rupture to occur. Achilles tendonitis, tendinosis and tenosynovitis should never go untreated because these conditions lead to the weakening of the tendon and possibly a complete rupture. An injured, weakened tendon held together by scar tissue is very susceptible to a rupture because it is not strong enough to withstand the demands placed on it during exercise or everyday activities. The most common location for a tear on the Achilles tendon is at its weakest point, approximately 1.5-2.5 inches above the heel where the blood flow is the lowest in the entire tendon. When a rupture occurs, it will feel as though you were hit in the back of the Achilles and you may hear a popping sound. Although you may actually experience very little pain, once your Achilles tendon ruptures, you will not be able to lift up onto your toes and your ability to walk is affected. 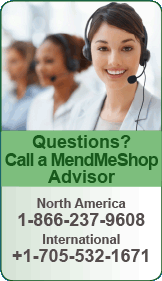 A partial tear in the Achilles tendon may be corrected without surgery. However, it may require surgery if it is not treated properly with conservative methods (rest, elevation, cold compression and Deep Tissue Regeneration Therapy) and becomes chronic. A complete Achilles tendon tear is treated with surgery because it increases the probability of returning to the same level of activity and reduces the chance of a re-rupture. 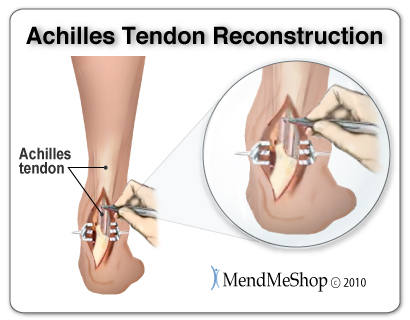 Surgery usually entails stitching or screws drilled into the heel bone to re-attach the tendon. Surgeons often reinforce the tendon with tissue grafts to encourage new tissue growth and increase the strength of the tendon to prevent re-rupture. Often scar tissue is scraped off of the Achilles tendon during surgery, however, all of these surgical procedures will result in more scar tissue build up around the tendon, leaving it thick and sometime painful. 70-90% of athletes who undergo Achilles tendon surgery heal well and are able to return to their sport, however, approximately 20% of them have a undergo surgery again due to overuse of the tendon. 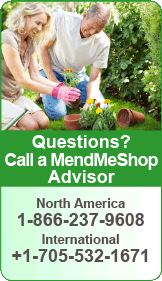 As with many injuries, it is preferable to avoid surgery. However, if surgery is necessary, you can take steps prior to and following the procedure to minimize tissue damage, pain and scar tissue and drastically reduce your recovery time.